As we continue to count down the days until the IFA 2014 consumer electronics show, more leaks surface about gadgets that may be on the guest list. Earlier in the week, we heard rumors that LG was already looking to refresh its G Watch with a second generation model. It seems this model may look different. A brief 30-second teaser trailer, posted as unlisted on LG Mobile Global's YouTube page, doesn't tell much about the new wearable. In fact, in really only says one thing—It's round. Clearly aiming to take some thunder from Motorola's Moto 360, which is expected to make an appearance along with the Moto X+1 at a Chicago press event on September 4th, this second-gen G Watch (supposedly named the G Watch R) will show up at IFA 2014 in early September if the last seconds of this official teaser are to be believed. The original G Watch released only two months ago, and a new design so quickly would mean that both these watches were mostly likely developed around the same time. Engadget points out that the first-generation G Watch could have been a proof-of-concept to help feel out this new area of wearables and to also be one of the first companies to market with an Android Wear device. 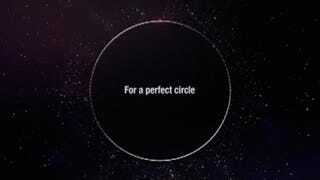 LG already adopted circular-inspired design with the LG G3's Quick Circle case. Although provided the scant information we do have on the G Watch R, we can safely assume it'll be another Android Wear device, possibly with similar specs considering its close production schedule with the original G Watch. However, others rumors earlier in the week announced that LG would be coming to IFA with a "premium" wearable in tow, so we could expect to pay a little bit more than the G Watch's $230 price.